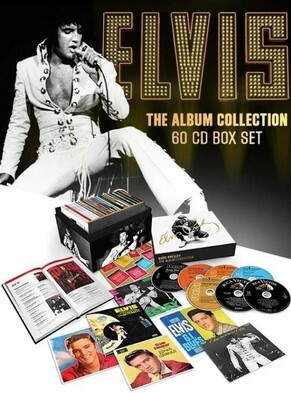 Elvis Presley: The RCA Album Collection' 60-CD Deluxe Edition celebrates RCA Victor's signing of Elvis Presley - The King of rock 'n' roll and features all of the albums Elvis recorded and RCA released in his lifetime: studio, soundtrack, and live. It also includes compilations released that featured unreleased songs or songs new to the LP format. This is a delightful work from Sony, and to give you a different take on the set, and what very much caught our eye was the original back cover art that we do not get even with the FTD Classic album releases. A really nice, original touch. The original album packaging has been painstakingly restored including gatefold/die cut sleeves, original RCA Victor inserts, stickers and more. And the CD labels replicate original side 1 labels. This should be a center-piece in every home be it in playing the albums, or simply making a statement with its very presence!!!! If you have yet to do so, order a set today!!! 04. Got a Lot O' Livin' to Do!